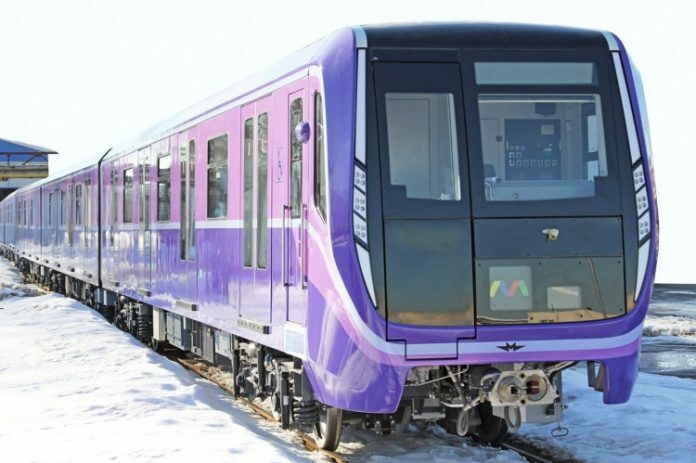 Rolling stock manufacturer Metrovagonmash has delivered the first of two new five-car trainsets to the Baku metro, Azerbaijan. The second trainset is expected to be delivered in April, fulfilling a contract that was only signed on February 16, 2018. Metrovagonmash has supplied rolling stock to Baku since 1967. Currently, there are around 280 metro cars in service that have been manufactured by the company. The carriages come from the “Moskva” series and include air conditioning, charging points and space for bicycles and wheelchairs. Metrovagonmash – which is part of Transmashholding, the largest locomotive and rail equipment manufacturer in Russia – estimates that the trainsets have a service life of 31 years.